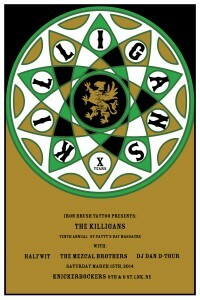 On March 15th, the killigans will be celebrating St Patricks day in style. 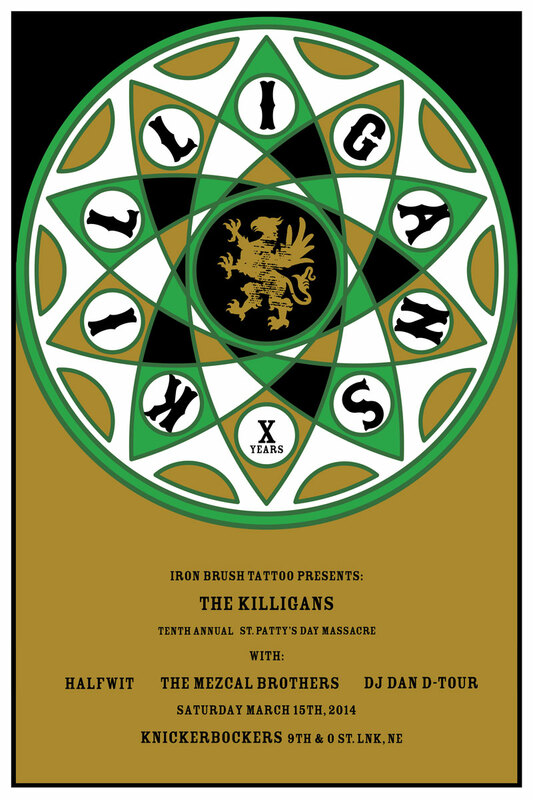 This marks our 10th year doing this show, and our 10th year as a band. We want to celebrate by offering one hell of a night. Iron Brush Tattoo (Lincoln NE) is sponsoring the event with some great giveaways, DJ Dan DTOUR! 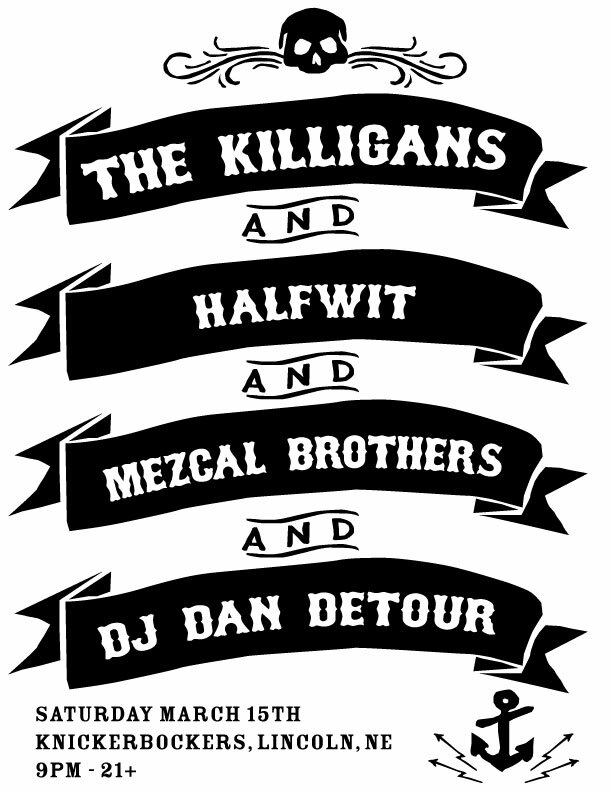 will be keeping the night moving between sets with his vast array of punk rock. 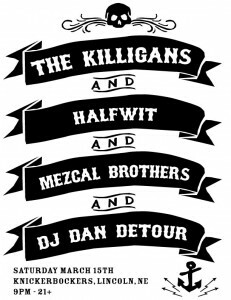 We have Halfwit and Mezcal Brothers hopping on as well to help us tear up the stage. As always, look for this to be our biggest local show of the year, complete with traditional covers, Pogues covers, free stuff, unneccessary props, singalongs and who the hell knows what else could happen. I can say with a fair amount of certainty that there will be a limited edition shirt for sale at this show as well as a fresh restock of “Another Round for the Strong of Heart”. Watch for a YOUTUBE commercial about the show later this week/weekend. In other news, look for us in Grand Island at the Glass Bar on April 4th, and in Denver at 3 Kings Tavern on April 5th, more info TBA. Feel free to print out these handbills and stick them up all over town for us!! !